Ever watch “Law and Order”? As the narrator tells us each week, the people are represented by two separate yet equally important groups: The police, who investigate crime, and the district attorneys, who prosecute the offenders. They’re two unique, yet intertwined forces working together toward a common goal. If you don’t know the difference between UI (user interface) and UX (user experience), their symbiotic relationship is much the same. UX designers are the analytical, technical ones, working to make sure the structure of an app or website is sound. Meanwhile, UI designers are the cosmetic, emotional ones, focused on how that same product looks and feels for a user. You can learn the elements that drive both disciplines with the training in the UI and UX Design Bootcamp, on sale now for $39 (an over 90 percent savings) from TNW Deals. It’s six courses with over 30 hours of training, walking designers through the mechanics and aesthetics of building useful, engaging software. Become a Senior UX Design Strategist – a $299 value: Learn to interview users, develop projects from scratch and lead a UX team. Rapid Prototyping with Ionic: Build a Data-Driven Mobile App – a $200 value: Use Ionic, AngularJS, Node and other frameworks to build a functioning stock market app. Android Design: Learn UX, UI & Android Marshmallow – a $199 value: Design for top Android system user appeal, including a primer on Android Material Design. How to Build Habit-Forming Products – a $99 value: What keeps users coming back over and over? Start identifying key factors in repeat users. Mobile User Experience: The Complete Guide to Mobile – a $99 value: Design apps from a user perspective — collect data, experiment with design and discover why some apps soar…while others fail. 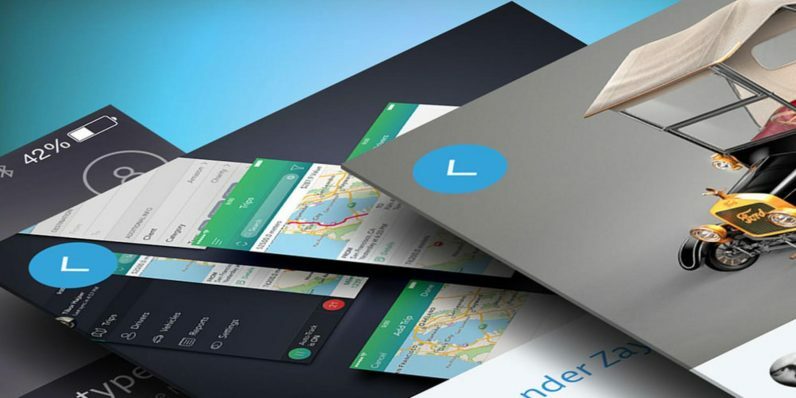 Mobile UI & UX Design Course – a $99 value: Understand the basics of UI/UX mobile app design as you create an appealing app from scratch. Rather than plunking down between $100 and $300 per course, you can get the entire bundle now for only $39.